Sometimes I do the best things in the kitchen by accident. Earlier in the summer, I Instagrammed and shared my experience making my very first peach pie and I ended up with some dough scraps after I fit the crust in the pie pan. 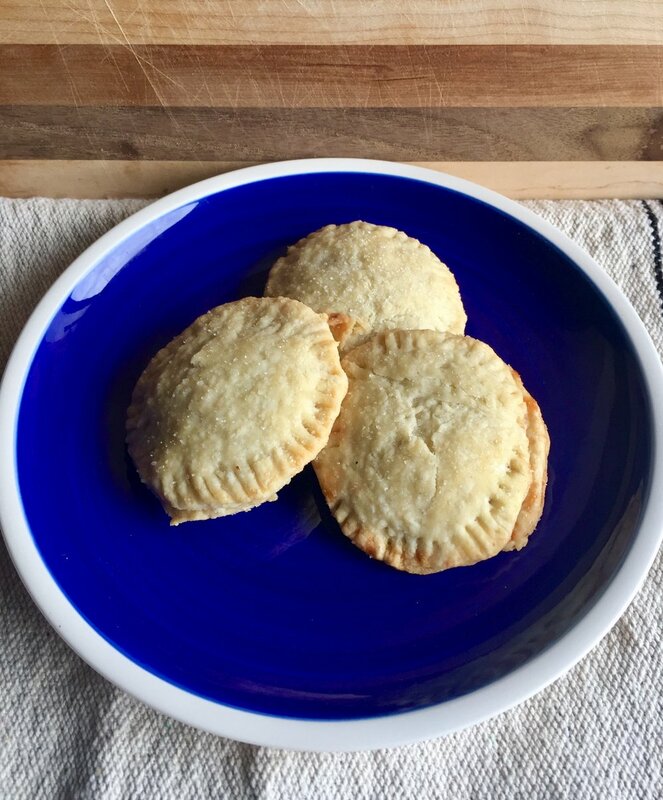 I couldn’t let all that fresh pie crust goodness go to waste, but since there wasn’t enough to make a whole other pie, it was time to get creative. I grabbed some raspberry preserves from the refrigerator, rolled and cut the scraps into triangles, and added a bit of the preserve to the middle of each triangle. I folded each triangle up, sealed the seams as best I could, gave them a sprinkle of sugar and slid them in the oven. Take a second circle of dough and gently place it on the top. 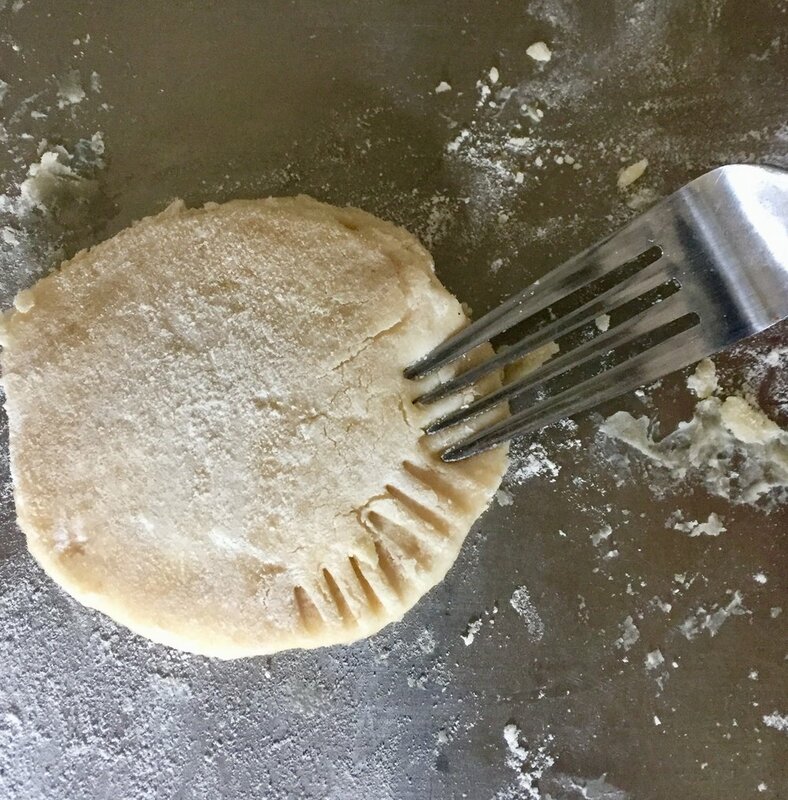 Using a fork, press the tines of the fork into the edges of the dough all the way around the dough. Allow to cool for at least 20 minutes then enjoy!!! Since this recipe has so few ingredients, quality is key here. Purchase a good quality raspberry preserve and a good quality pie crust. 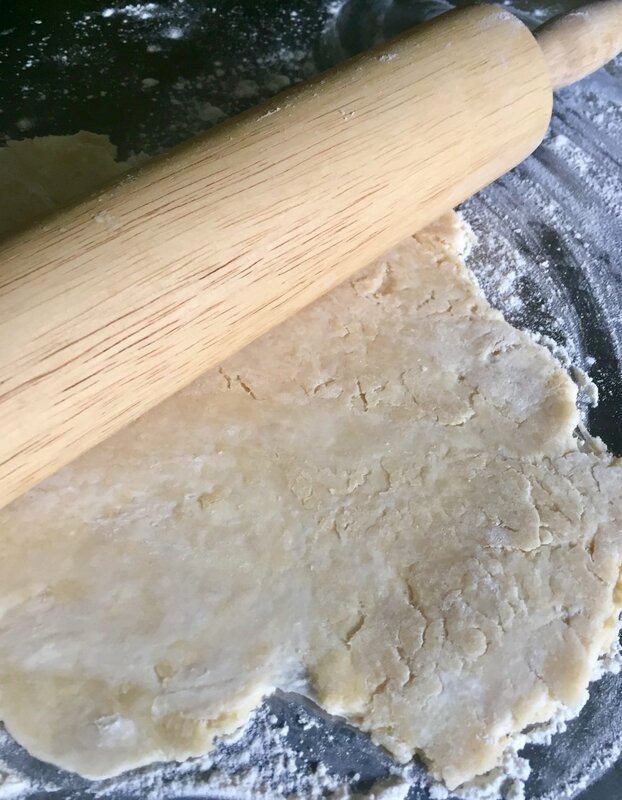 My preference is a from scratch pie crust (like this ONE), but a store bought crust can be subbed in as well. If you are not a raspberry person, don’t fear! You can use any flavor of preserve in this recipe. Jellies may work but since they tend to be a tad runnier than preserves, I would use a bit less to ensure the dough does not get soaked and tear. I find it very helpful to place the dough scraps that will need to be re-rolled in the refrigerator while I am placing the preserves on the shaped dough. Dough that warms up may stick more as it softens so keeping it as cool as you can ensures the dough will roll out and stick to everything instead. You can play with the size and shape of these but I do recommend keeping them on the smaller side as they can be tough to eat in hand and move around if you make them too large.